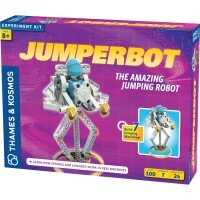 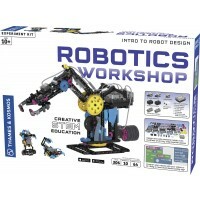 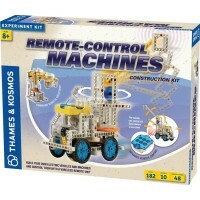 This deluxe edition of Thames & Kosmos bestselling Remote Control Machines experimental kit brings 155 pieces to build 20 different motorized models. 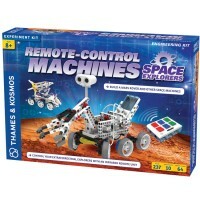 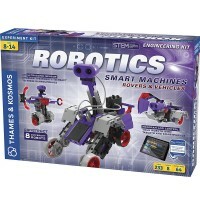 Now Thames & Kosmos bestselling Remote Control Machines set is available in its deluxe edition. 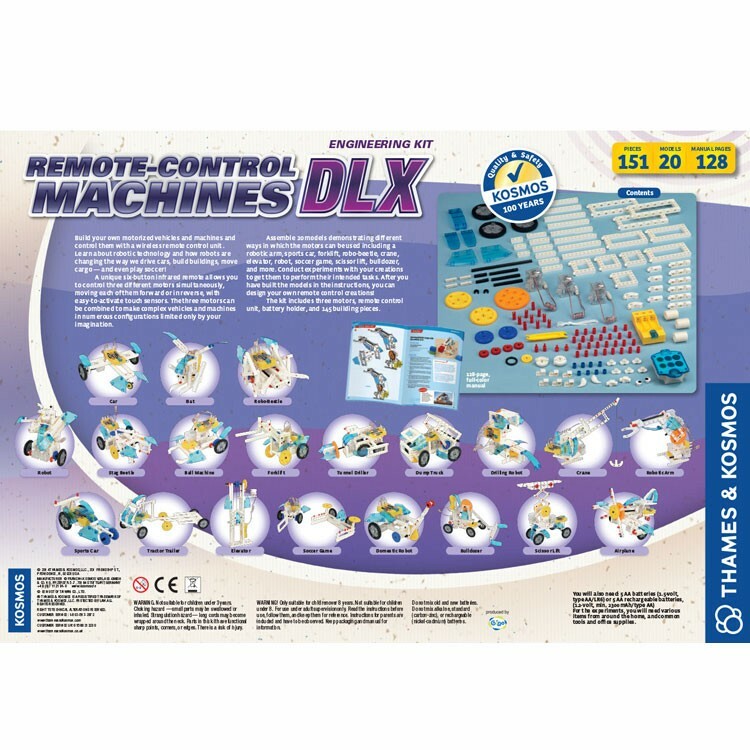 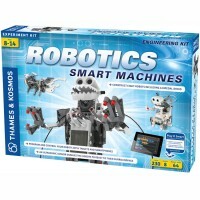 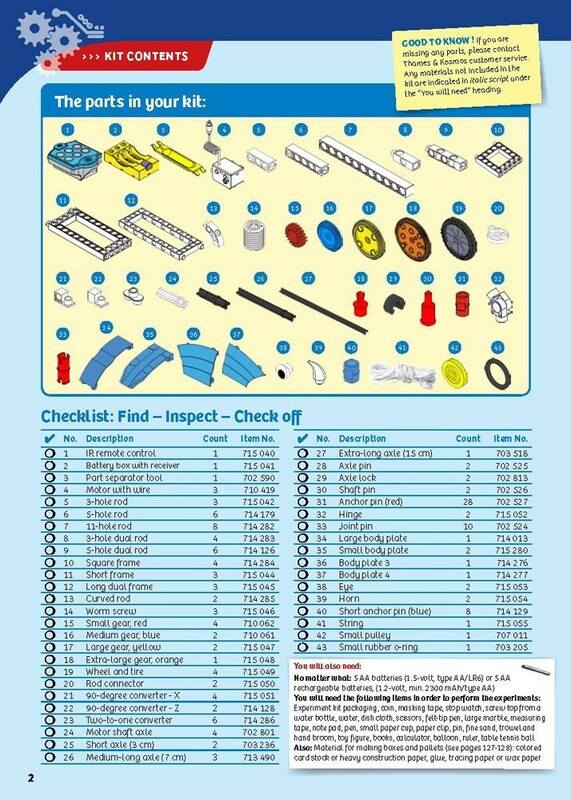 Remote Control Machines DLX Engineering Science Kit includes 155 building parts to create 20 different moving models. 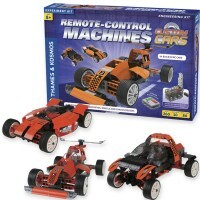 Construct your own motorized machines and vehicles and move them with a wireless RC. 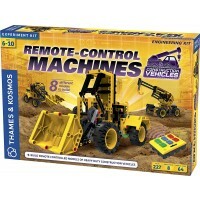 This ultimate construction science toy features a signature 6-button infrared remote unit with special touch sensors. 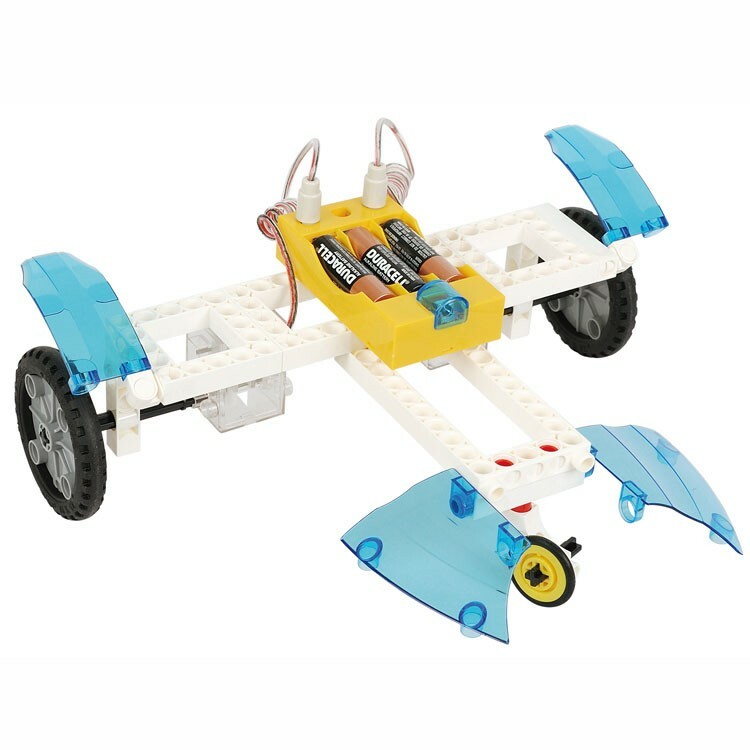 This unique RC allows to control 3 different motors at the same time. 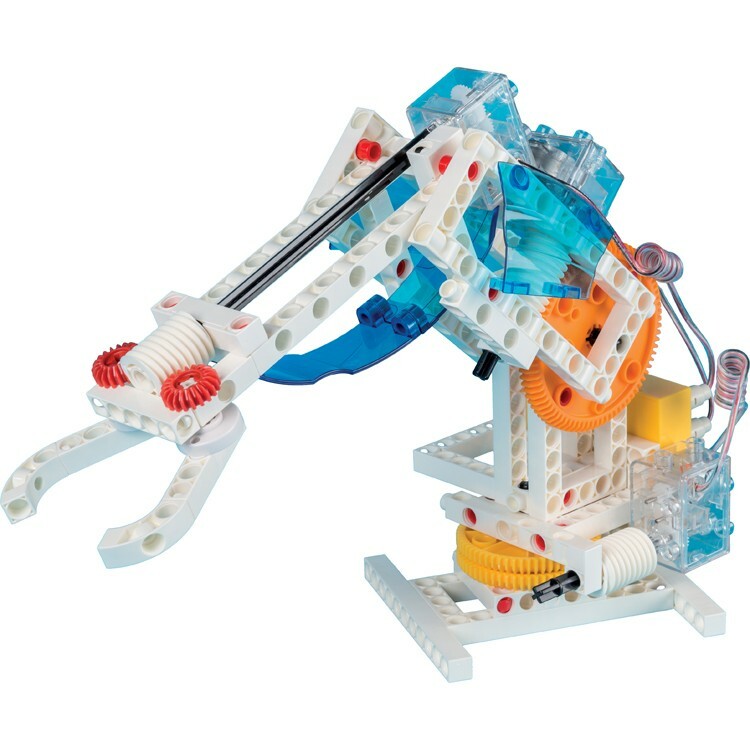 The 2 motors can be combined to create different configurations of the sophisticated functional mechanisms. 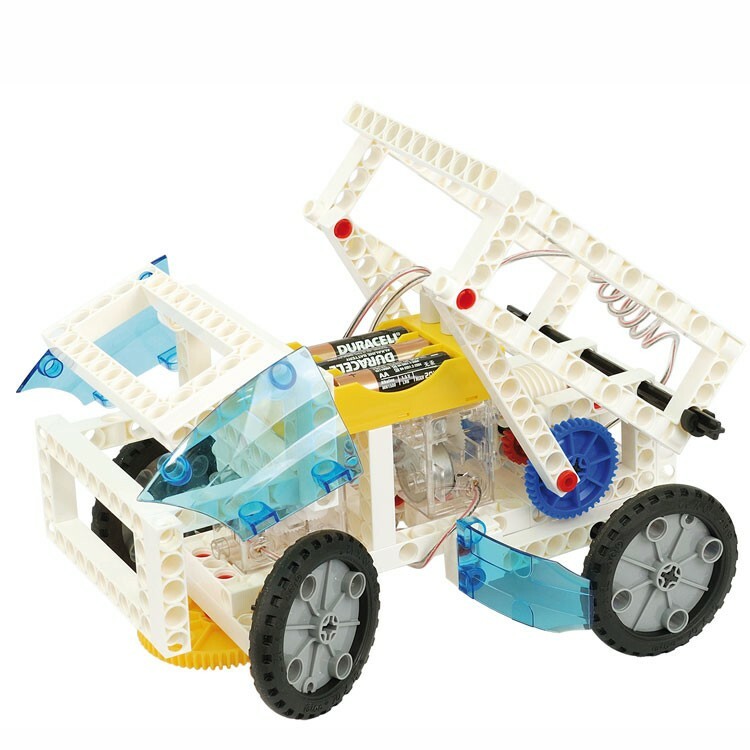 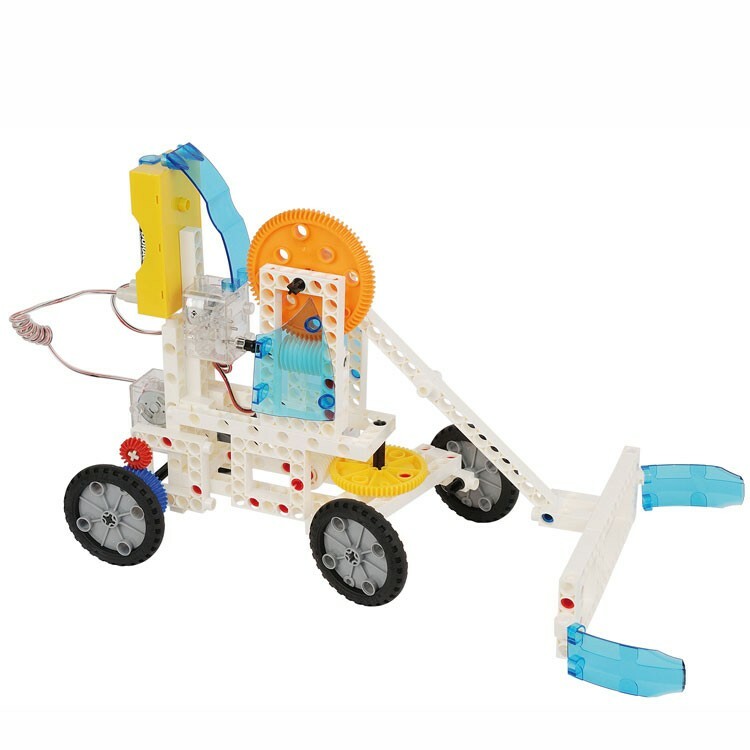 With this deluxe construction kit from Educational Toys Planet young engineers can assemble 20 electric vehicles including a 3-wheel car, stag beetle, robot, battle car, ball collector car, forklift, tunneling vehicle, bat-bot and more. 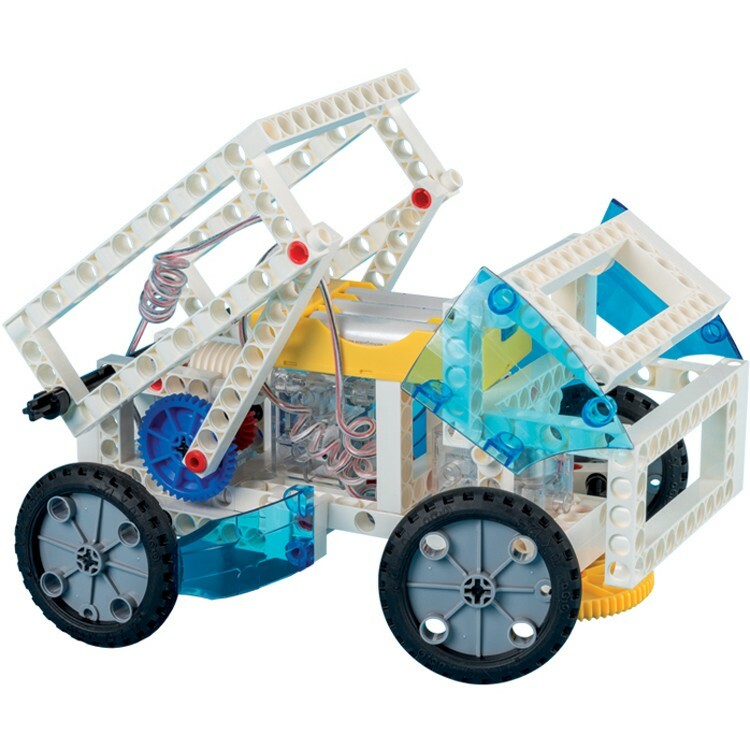 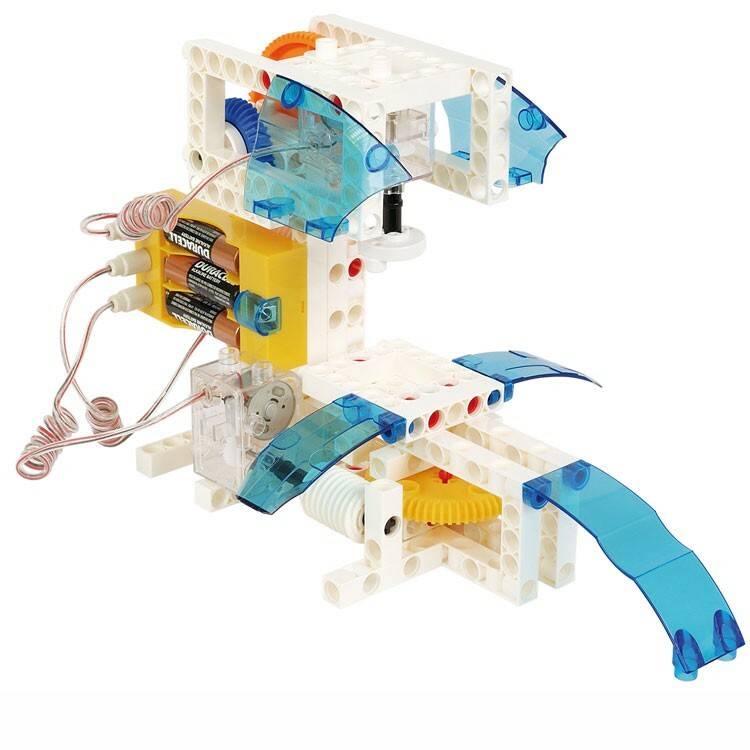 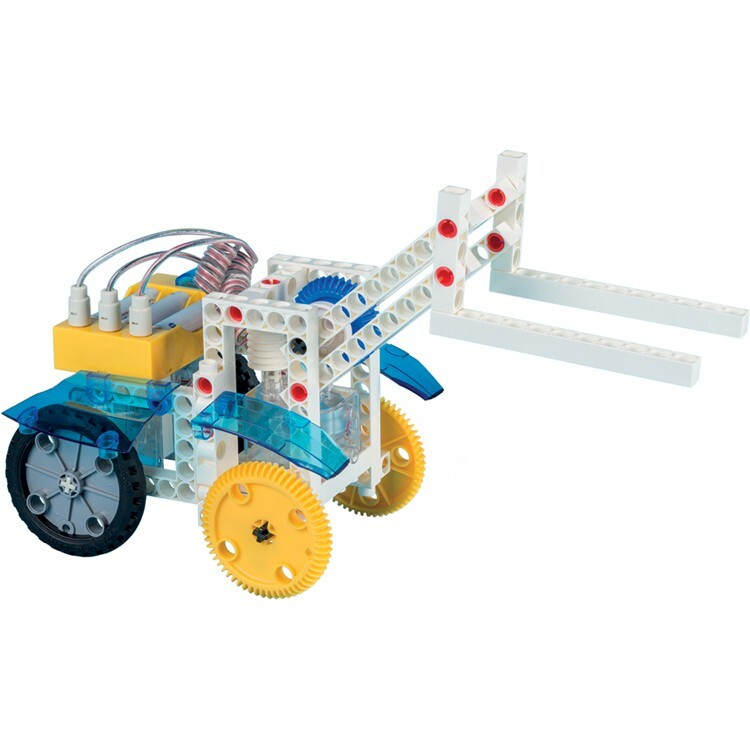 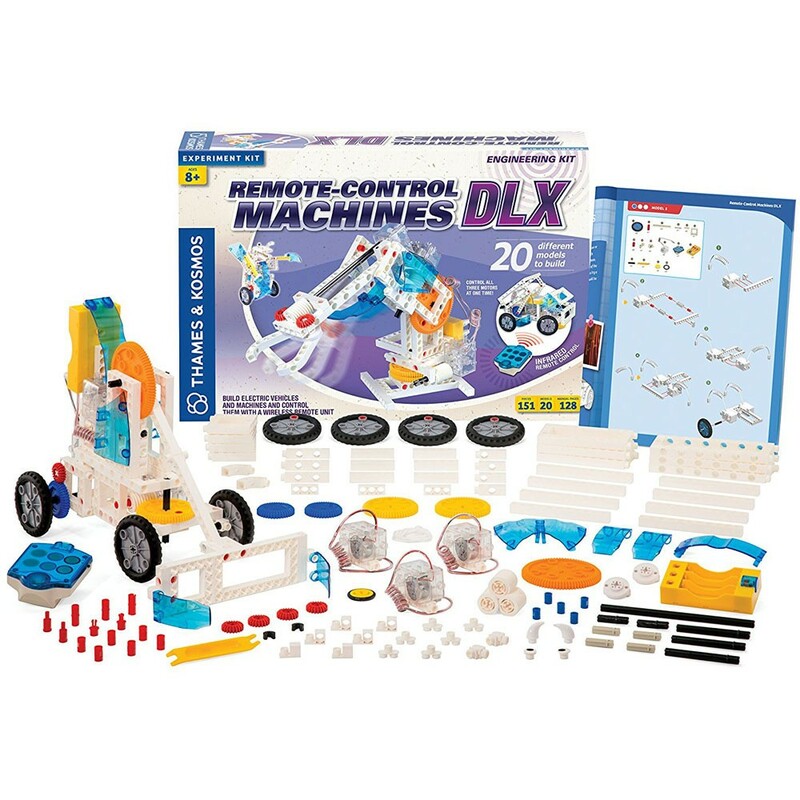 Children can use the 128 page full-color instruction manual to build their models or design their own complex moving machines for even more educational fun. 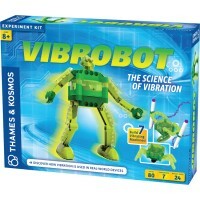 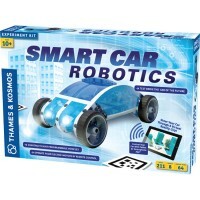 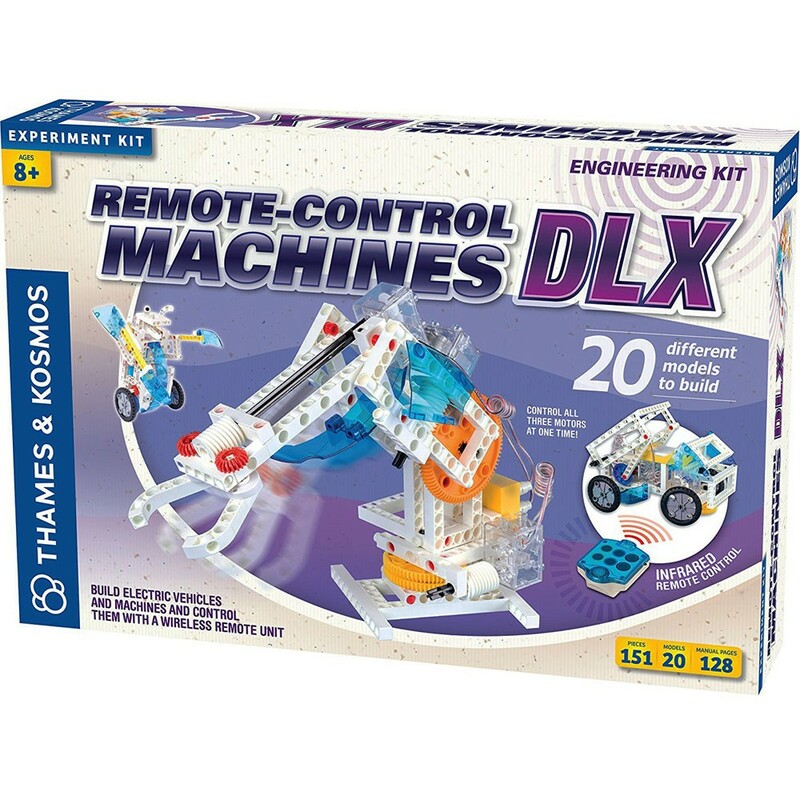 Build, remote control, experiment and learn with this deluxe Remote Control Machines science kit. 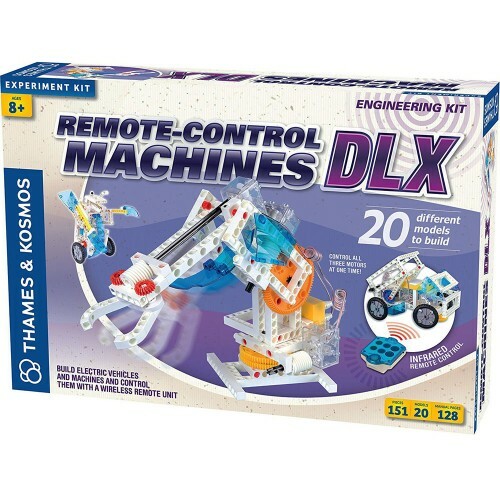 Write your own review of Remote Control Machines DLX Engineering Science Kit.